On the 19th September 30 of our colleagues from Heelis – (Head office) based in Swindon joined hands with various departments here at The Vyne. 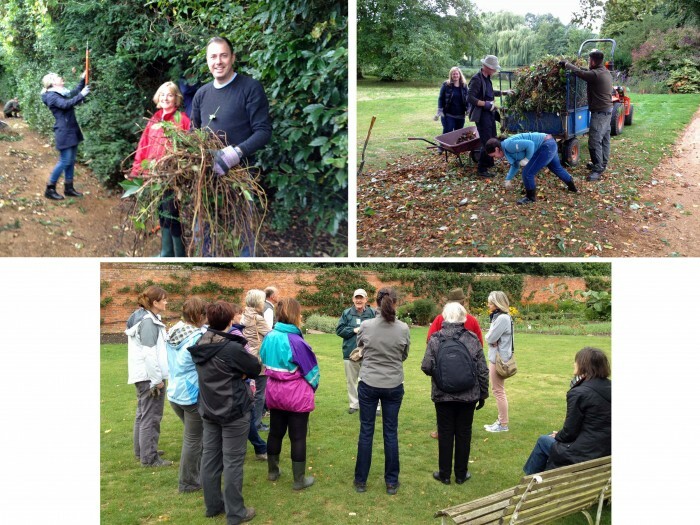 Activities from garden renovation and maintenance to working with our house stewards team were undertaken. 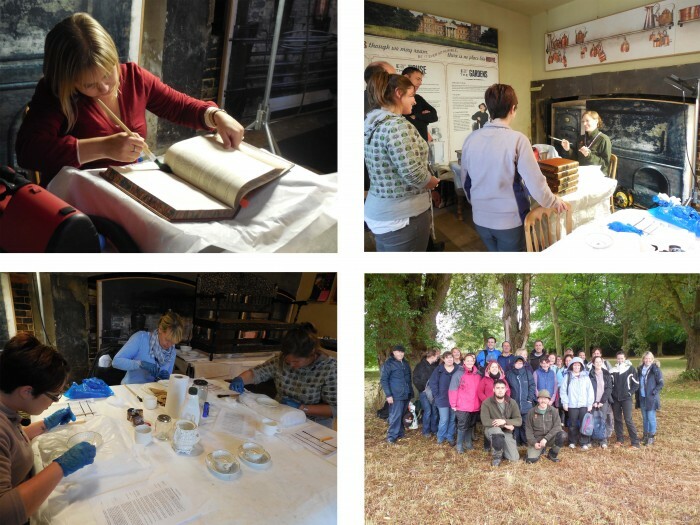 Some had the chance to get involved with the delicate conservation of our house collection. The cleaning of books and china is a time consuming job and as you can see below Heelis staff were ably guided by Dominique Shembry one of our conservationists. Though the day wasn’t the best in terms of weather everyone piled in enthusiastically and enjoyed the challenges and the fun team work outside in various areas of the garden estate. I have know doubt our guests burnt off a good few calories working alongside our rangers and gardeners as this is always a busy time of year for us with hedges and borders needing attention and preparations needed for our autumn harvest which will be upon us soon enough. Many thanks to all the team from Heelis for all your hard work. We hope you enjoyed your time with us. Heelis staff get to grips with conservation activities in the house and end their day with a group shot in the gardens with Luke and Eddie – pictured lower right. Heelis staff engage in some buggy route maintenance and tidying of our orchard area. Chris Lee (bottom image centre) introduces our guests to the walled garden and green gardening.